Let's talk about convertible debt financing for an emerging technology company. These transactions are common for technology companies. Usually, they come into play as part of a first external round of financing from investors, in-between priced rounds for a company, and just prior to a strategic or sales transaction for the company. Our focus will be on the term sheet for the convertible debt financing. The first thing a person notices with one of these term sheets is how relatively simple they are. There are usually only one or two pages. Compare that to a Series A financing where there is usually 5-10 pages or more. One reason that convertible debt term sheets are so short is that the transaction is structured so that convertible notes convert into the security issued in the next round, entitling the note holders to not only the rights and the benefits associated with that new security, but also with the accompanying representations, warranties, covenants, and other obligations that come with its sale. With that in mind, it is customary to defer all that detail to the subsequent financing. As a result, the documents associated with convertible debt funding for an emerging technology company are some of the simplest and straight-forward financing documents to prepare and negotiate. Let's get into the terms of the term sheet. There are two types of terms to consider - financial and procedural. The financial terms are the economic incentives for entering into the transaction. As you would expect, they include the interest rate and a discount percentage of the security price in the next financing. Sometimes, instead of a discount, one sees warrant coverage. Warrant coverage is the right to purchase a certain number of shares in the future at a set price. The warrant can be exercised when the value of the stock has increased. Automatic: occurs upon a "Qualified Financing." Voluntary: occurs upon the consent of the company and the note holders. It is also important to enable the waiver of terms and the amendment of documents by the consent of the company. 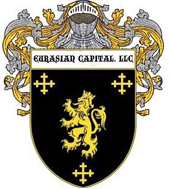 To learn more about convertible debt financing for technology companies, contact Eurasian Capital, LLC.